His Royal Highness Mohammed Bin Salman Bin Abdulaziz Al Saud, Crown Prince of the Kingdom of Saudi Arabia and Chairman of the Diriyah Gate Development Authority (DGDA) has named Gerard “Jerry” Inzerillo CEO of the Authority, which will spearhead a transformative initiative to restore the historic birthplace of the Saudi state. Inzerillo, a highly accomplished tourism visionary, was selected to oversee the restoration of Diriyah and to develop a number of major new historical and tourism assets including museums, academic institutions and “edutainment” facilities, as well as resorts, restaurants, wellness facilities and high-end retail in a 7.1 million square meter development on the west side of Riyadh, Saudi Arabia’s booming capital city. The initiative is a key deliverable in the Crown Prince’s 2030 Vision to modernize the Saudi state, engage Saudi citizens, and welcome guests from all over the world. Diriyah, a UNESCO registered site, holds a historical depth of more than 590 years. As the birthplace of the first, second, and current Kingdom of Saudi Arabia, it is the root of the Saudi nation. Much of the original site, built in adobe brick in the traditional architecture of the greater Najd region, will be authentically restored with new tourism attractions and facilities. The At-Turaif District in Diriyah has been designated by UNESCO as a “World Heritage Site.” His Royal Highness envisions Diriyah as a place where the past will be celebrated and the future awakened and where all who enter its gates will be inspired, engaged and entertained. 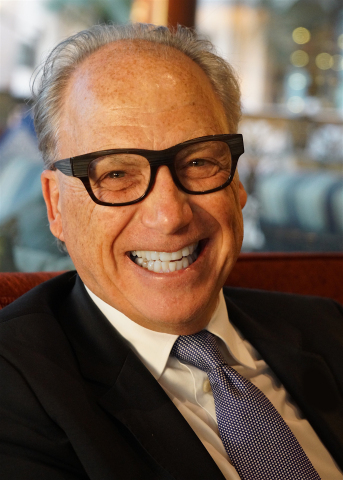 The DGDA Board of Directors is honored to have attracted such a creative, inspirational leader in Jerry Inzerillo to bring His Royal Highness’ vision into reality. Previously, Inzerillo was CEO of Forbes Travel Guide, the global standard for the verification of service excellence in hospitality. FTG, which operates in more than 100 countries, also awards annually the prestigious Five Star Award, considered the “Olympic Gold Medal of Hospitality”.